Gross,kraft -und gehaltvoll, vorzueglich in Gebaeudeabmessung, Kraft, Harmonie und Linie, typischer Schaeferhundeausdruck. Korrekt gestellte Gliedmassen, hoher Widerrist, sehr gute Allgemeinfestigkeit, ausgreifendes Gangwerk, sehr gute Bewegungsharmonie und Gleichgewichtslage. TSB ausgepraegt ; laesst ab. This dog is in Spain at Cuatro Flores Kennel, and he stay there until he dead. We have oure Dux grandson Haus Haargaard Esto. For Stud in Denmark. Super Dux blodlinie and same super motherlinie as Kratmosens Baroni. We have use this dog 3 time. we are verry verry happy with the dogs, Thanks also to the frendly family Wolfgang Hassgall for god service. 1. time mother, Atilas Ärle. * Nobby,Nora and Vinner have give us verry nice puppy. Realy great stud dog congratulations to the owners!! Anyone know what owners website is? I have female that matches 3-5 on Jango is that bad? Fantastic GSD! I have his beautiful daughter. i have his grand daughter. what a great dog!! Well done boy! Dux has done it again and he's coming up fast, isn't he? Hope to see him rise just like he has been. Congratulations and all the best to everyone associated with this beauty. Congratulations Dux! VA6-2005, VA5-2006, VA1-(Italy)2007, VA3-2007 fantastic achievement. Inspite of discomfort caused by surgery to your knee ligament this was a mind blowing performance. Go..go.. DUX the breed expects a lot more from you! Anyone know where I can contact the owner of this Dog? Dear Friends, I must apologize to all of you for the behavior of a few people from our country, who seem to be bent on giving the whole lot a bad name. 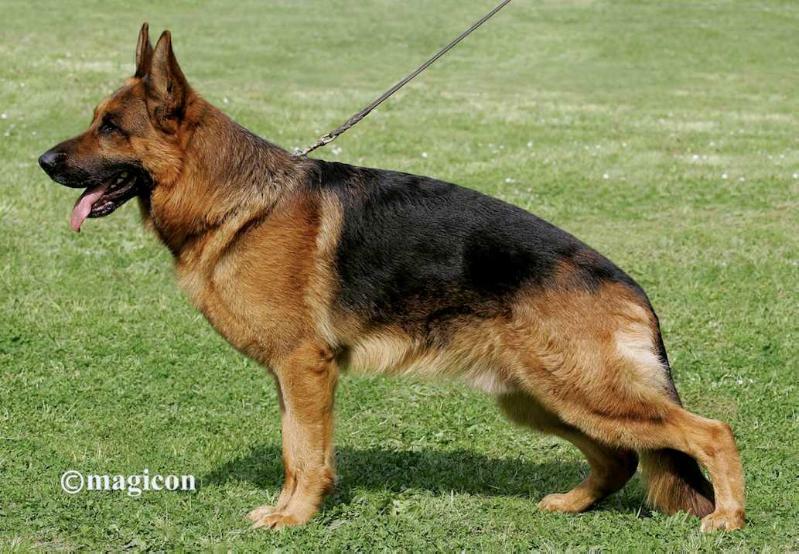 Allow me to assure you the average member of German Shepherd Dog Club of Pakistan ( GSDCP ) is just so keen, and enthusiastic as anyone else, anywhere else, and is steadily working hard towards improving the standard of the breed in our country. At the same time, there are and shall always be, a few disgruntled ones too, who find it more interesting to spread disinformation. For the benefit of you all, our club was not founded in the 70s, but in 1981. Our president is not paralyzed for the last 15 years, but hale and hearty, and we did not have 35 dogs in our sieger show, but 48 ( which also happens to be more than last year ). And then to come to the latest accusation, the female in question has not whelped till today ( can be inspected at my house, being partly owned by me!!! ), so could not have been 5 weeks pregnant on the show day ( February 12 ). I do not need to waste any more time or space in negating baseless points, and hope the matter will finally be considered closed by all concerned. This forum is for people to learn and enjoy their love for the Shepherd with fellow hobbyists. Best for all to maintain the atmosphere of friendliness and respect, and to allow everyone to enjoy their hobby to the best. Truth somehow happens to be very tough and resilient, and finally manages to survive all attempts on its life!! One may try to hide it with a lot of effort, so it is very well hidden, but resurface it will, or so we all believe. I apologize once again to you all. Somebody stop him from spamming pleaaaase!! !